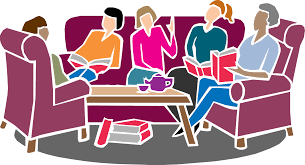 Join us for a time of book discussion and socializing! We read a wide variety of literature, including Women's Fiction, Biographies, True Crime, and Popular Authors. The book selection for the next month is chosen at each meeting.